As a reader, I often wonder where writers get their ideas for their stories. As a writer, I’m often asked this very question about my own stories. Many times, especially when I’m writing book 2 or 3 in a series, the answer isn’t very interesting. Often times, it’s that I have this character, and I need a story for him. 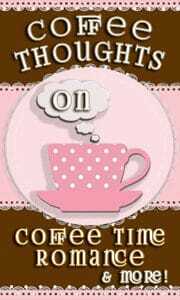 Most of the time, my stories start with characters. When I saw that sign and heard the story, I started playing the what-if game. What if it wasn’t a joke? 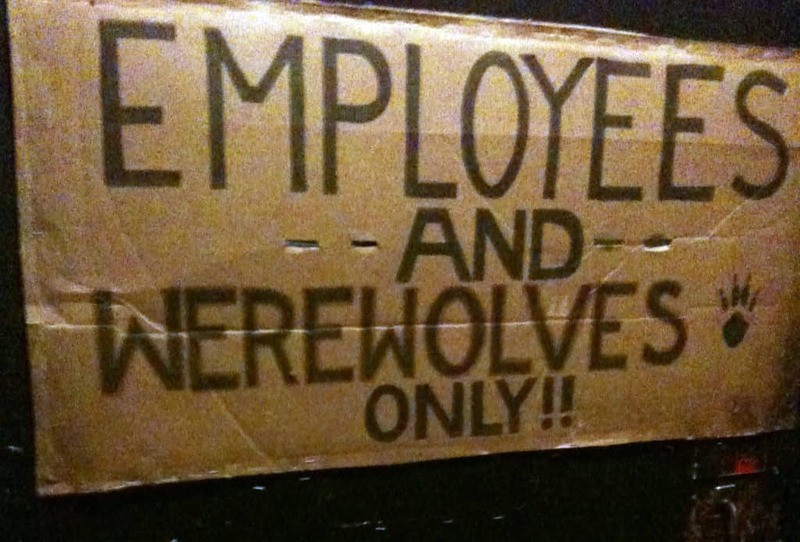 What if the bar owner really was a werewolf? What if the bar wasn’t just a bar, but was actually the headquarters for the entire wolf pack and the pack acted like the paranormal police force for the city? And what if…just what if….the alpha werewolf fell in love with the human detective he was trying to keep from discovering their secrets? The ideas flooded my brain, and I had to get them out. I borrowed a pen from the bartender and spent the next half hour hashing out the story on a napkin. My dear, sweet husband sat next to me, patiently sipping his beer while I completely ignored him and conversed with my new imaginary friends. Luke and Macey emerged on that napkin, and as soon as I got back to Houston, I began writing the story. I started this story several years ago, and sadly, the bar has since moved and changed names. Life happened, and it took me a while to get the book ready to be published, but it’s now complete and will be released on August 21st! 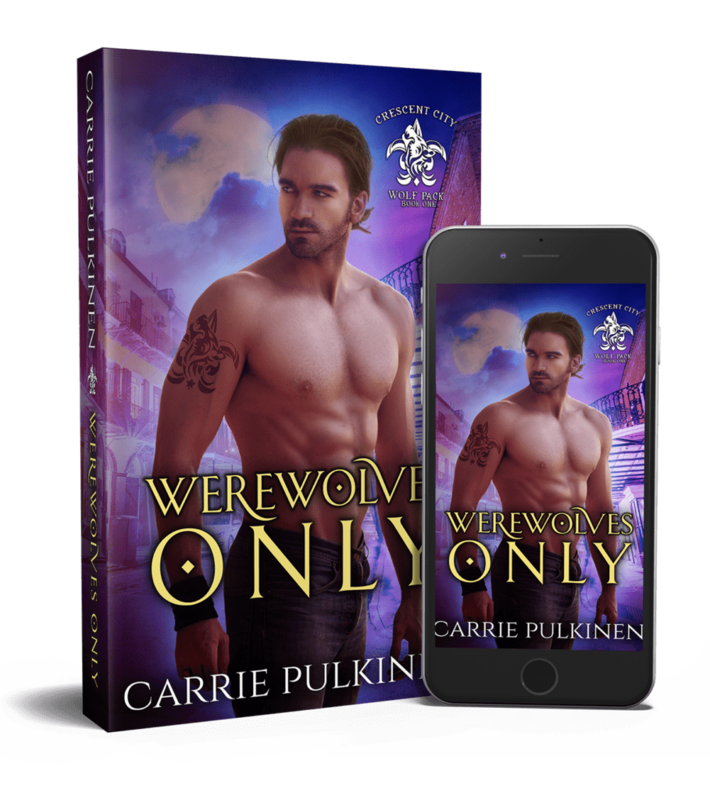 Werewolves Only is the first book in the Crescent City Wolf Pack series, and it will be available in paperback and ebook at most major retailers. Book 2 in the series is currently with my editor, and I’ve written book 3 and am working on getting it into shape for editing soon. I am super excited about this series, not just because of the magical way the idea came to me, but because it’s set in my favorite city in the world. I can’t wait for you to experience Luke and Macey’s journey as they team up to take down a demon and learn that when fate has plans, you better buckle up and get ready for the ride! Werewolves Only is now available! 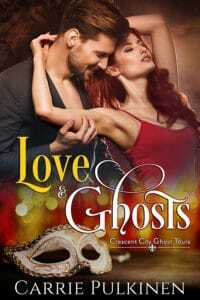 Win a free copy of To Catch a Spirit on iBooks!